Today: Uncovering the secrets of the Antarctic. Tomorrow...Europa! Matt Meister is a research engineer in the School of Earth and Atmospheric Sciences at Georgia Tech. He also is the and lead engineer of Icefin. Icefin, which is a tethered autonomous underwater vehicle (AUV) developed out of Georgia Tech’s Planetary Habitability and Technology lab, has capabilities to survey and map the sub-ice environment in polar regions. As lead engineer, Matt is primarily responsible for overseeing the mechanical and electrical engineering teams, and ensuring that the vehicle is field-ready. In addition to overseeing current vehicle development, Matt also is leading the engineering development of a robotic sampling arm that will be used to take samples below Antarctica’s Ross Ice Shelf (RIS), one of Earth’s largest remaining unexplored environments. Before graduating from Georgia Tech (BSME), Matt performed research on a CubeSat which was part of a Jet Propulsion Laboratory (JPL) project to design a CubeSat that would be sent to Europa, an icy moon that orbits the planet Jupiter. He was the lead engineer for the spacecraft design team that developed the Europa Plume and Exosphere CubeSat (EPEC). 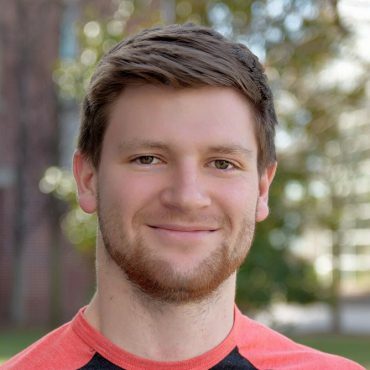 As an undergraduate student, Matt was also responsible for the initial mechanical design of Icefin and was part of the Antarctic team deployed in 2014.